Perched at a height of 1442 feet above the sea level, Susunia Pahar (Hills) is one of the most picturesque tourist destinations in Bishnupur. For all the nature lovers, Susunia Pahar is a perfect escape from the cacophony of city life. The entire hill of Susunia is blessed with the eternal natural beauty which includes beautiful shrubs, imposing trees, and medicinal plants as well. The hill is also an ideal destination for all the adventure aficionados, especially those loves to trek and hike. In the winter season, both camping and trekking activities gather a much hype amongst travellers in Bishnupur. Besides, this beautiful hill town in Bishnupur is also an important archaeological and fossil site in the region. Here at Susunia, fossil remains of some wild species like a giraffe, Asiatic lion and hyena along with other animals have been excavated from different areas of the hill. Along with that, another attraction of this place is an ancient monolith which is known as the Narsingha Stone. This stone is located at a place where the spring water is pouring out from a stone gargoyle. The location is also known as the important location for rock-climbing and camping. Besides, another talk of the town at Susunia is Gandheswari River that flows down from the hill. The Susunia Hill is also esteemed as the home to stone-carving craftsmen and as per the stories, the village once had a fort which was built by King Chandravarman. So, if nature is your first preference for choosing any travel destination then Susunia Pahar is a perfect candidate to be your next travel destination in Bishnupur. 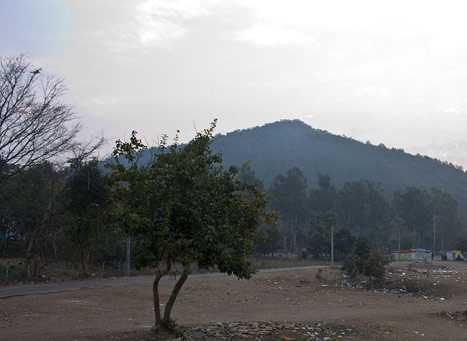 The best time to visit Susunia Hill is from October to March, i.e., the winter season. However, you can explore the place at any time during the year, but the winter season receives a pleasant weather that makes sightseeing tour in Susunia Pahar easy. In order to reach Susunia Hill, one has to board a train to Bankura Junction which is located at a distance of just 28 km. From the station, hire a taxi to cover the rest of the distance. Apart from this, both Bankura Bus Stand and Durgapur Bus Stand are located at a distance of 26 km and 54 km, respectively. From both the stands, regular buses to Susunia ply that will take you to your destination.